Asian Games fever is spreading fast. The long awaited 18th Asian Games hosted by Indonesia this year is nearing fast. The 18th Asian Games will take place from from August 18th, 2018 – a day after Indonesia celebrates Independence Day - to September 2nd, 2018. 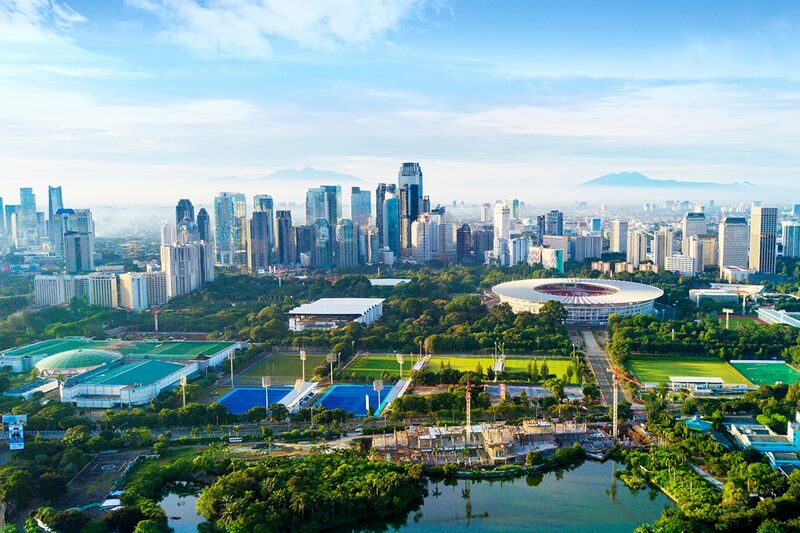 The Games will be held in two locations: Indonesia's metropolitan capital city, Jakarta and in Palembang ,once seat of the great Srivijaya kingdom in South Sumatra. To be participated by 45 countries, 15,000 athletes and mission leaders, this year's Asian Games is expected to draw thousands of spectator crowds both from within Indonesia, Asian countries as well as sport fans from around the world. To ensure successful and seamless organization, the government has held regular meetings coordinating all related ministries, local governments, organizations and communities. Preparations in both Jakarta and Palembang have moved at a furious pace, getting ready competition venues up to international standard level, refurbish the athletes villages, build infrastructure and fast transportation for convenient and rapid access for athletes to venues, as well as fast and easy access for spectators arriving from overseas alongside the crowds of domestic fans rooting for their teams. 37 Sports are being contested. 28 that are included in the Olympics, 4 are Asia specific Sports, and 5 proposed by Indonesia. 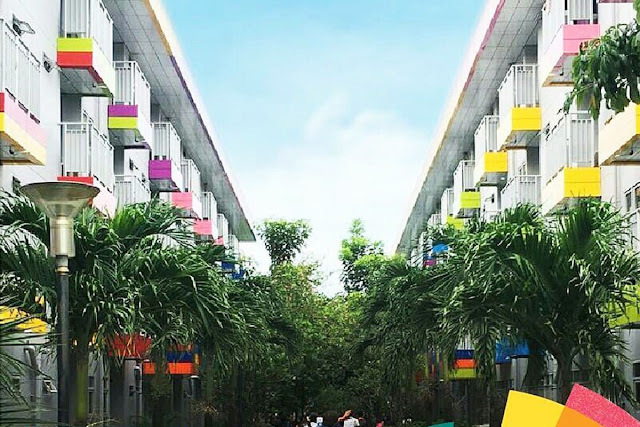 Infrastructure and preparations for facilities in this mega sports event of Asian Games 2018 are near completion confirmed Ministry of Public Works and Public Housing (PUPR), confident that the target for developing the entire infrastructure and facilities will be ready by June 2018. Director General for Human Settlement of the PUPR Ministry, Sri Hartoyo stated that progress developing all venues has today reached 90.53% which is higher than the initial target of 89.3%. These include 76 sports venues for competitions and preparatory trials, and an additional 14 other non sports venues. "Currently being completed are the finishing of venue facilities and renovations as well additional facilities for the disabled such as elevators and room facilities at the Athletes Village in the Kemayoran district in Jakarta. We project that by June, all facilities and infrastructure will be finished and ready for the Grand Event” said Sri Hartoyo. The focal venue prepared to welcome the top athletes from across the Asian Continent is Indonesia's iconic Bung Karno Stadium located right in the heart of the Gelora Bung Karno Sport Complex in Senayan, Jakarta. Today the stadium presents an entirely fresh look featuring the latest modern facilities offering high level comfort achieved through some massive renovation. The monumental stadium that was built to host the historic Asian Games 1962 will again become the central venue for the Opening Ceremony of Asian Games 2018. "The renovation of the entire Bung Karno Sport Complex is 100% complete. We are now only adding the Squash venue which was decided last December 2017 only, but now it is already 20% done. We are also constructing two new parking buildings in the East Parking Area that can hold 1,000 cars” added Sri Hartoyo. Adding that construction is currently in its final phase for Sailing and Jetski venues at Ancol, along the north coast of Jakarta, as well as the venue for the Pencak Silat Martial Art Competition at the Taman Mini Indonesia Indah (Indonesia in Miniature Park). With the full support of the city of Jakarta, a Velodrome, the Equestrian Park, and Baseball Venue at Rawamangun are also in their final stage of finishing. Together with the Minister of Public Works, readiness for infrastructure and facilities for this mega sport event involved also many other stakeholders that include the city of Jakarta, the Province of South Sumatra, and the Province of West Java. Chairman of the Indonesian Asian Games Organizing Committee (INASGOC), Eric Thohir explained that Asian Games 2018 will bring multiple positive impact to the country. Seen from its economic aspect, the event already attracted investments and opened up job opportunities. The same also goes for Tourism . Moreover, Asian Games will also boost Indonesia's image since the event will be broadcast around the world by a large number of global media. "Obviously, it will also leave precious legacies, since all infrastructure and facilities have been built for future use”, said Erick Thohir. On his part, Tourism Minister, Arief Yahya expressed that the Asian Games form a very significant momentum to boost tourism to Indonesia. Around 15,000 athletes from Asia will be participating in the event. There will also be officials, supporters, as well as spectators from all 45 participating countries. For this reason the Tourism Ministry is boosting promotion of Asian Games 2018 to be centered in Jakarta and Palembang.